High-tech with maximum quality standards. It is the unique technology of the SEABOB RESCUE that makes it a superior rescue vehicle. Each SEABOB is meticulously hand-crafted in Germany. All technical elements are manufactured of proven quality materials. The drive unit is made using premium carbon elements, established ceramic coatings and precious metals resistant to salt water. The power for the drive mechanism is provided by highly efficient Lithium-Ion accumulators. 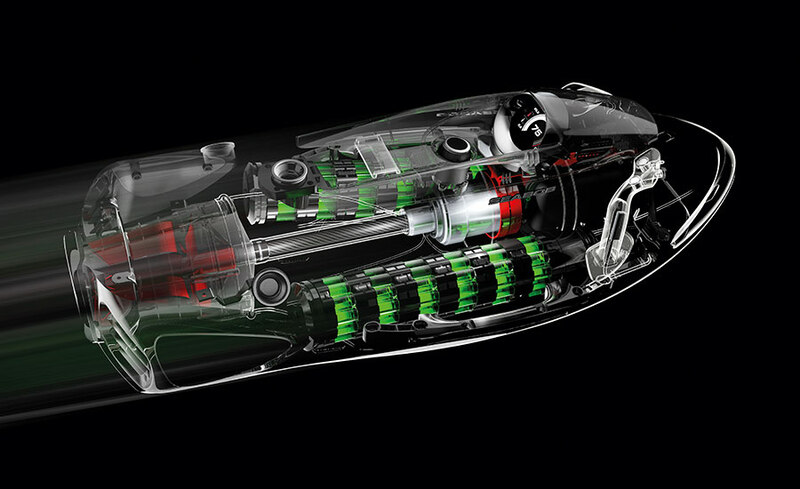 These powerful highenergy Lithium-Ion accumulators round out the propulsion concept of the SEABOB RESCUE. For safety reasons, the high-performance accumulators of the SEABOB are certified by the applicable UN transport test according to UN / DOT 38.3. Therefore, the SEABOB is approved for rapid air transport – for example for transportation to international disaster areas. Clear overview for exact control. The central cockpit is exactly placed in the operator’s field of vision. 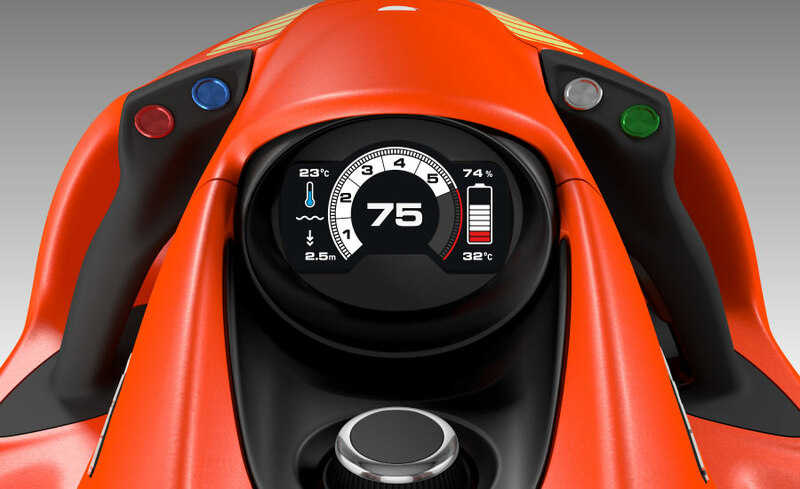 All important technical data from the engine electronics are accurately shown on the TFT colour display. It provides the operator with information on the current driving performance and the selected power level. The indication of accumulator charging level and remaining operating time allow to always keep track of the remaining capacity. Furthermore, the operator receives real-time information about his diving depth and the water temperature. The operator steers his watercraft via two intelligent Controlgrips with Piezo technology. Simply releasing the trigger on the right Controlgrip switches off the thrust and the vehicle comes to an immediate standstill. Two additional Piezo buttons enable the pilot to program an individual data menu. This includes security settings which are protected by an owner PIN. The programming functions of the menu can be conveniently controlled through the TFT display.